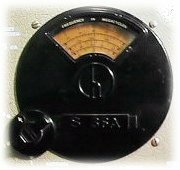 The web's largest dedicated site for the	preservation of the age of radio. Take your time and browse our web site & museum! ARCI sponsors the excellent RadioFest in Elgin, Illinois. They have over 500 members. The Boatanchor	Manual Archive has On-Line manuals! An excellent resource. Captain Video directly off of Captain Bijou's web	site, or order their colorful	catalog. which has a huge archive of digitized "OTR" broadcasts. Pete, WA2CWA the "Manual Man" has been selling quality vintage radio manual copies for years, with a first-rate reputation. Visit him at www.manualman.com if you need a manual for your Hallicrafters - he has over 6000 manuals currently listed, with more coming. The Antique Wireless Association is an organization of some 4,000 members linked by a common interest in the history of electrical and electronic communications. W7FG has been offering quality reproductions of Vintage Manuals for years. The Antique	Radio Classified publication is a must-have for vintage	radio restorers! A. G. Tannenbaum also has Operation and Service manuals for vintage radios. Radio Daze is "Your Vintage Radio	Headquarters!" Hallicrafters Collectors International has nets and	a web site. Do you enjoy Tom	Corbett, Captain Video, and the whole early TV sci-fi thing? Roaring Rockets is a	must-see! Hollywood's Attic	has an Internet Discount Special on its large inventory of early science fiction, such as Destination Moon and The Phantom Planet. Radio Bay has lots of information on National products. I have a rare RCA AR-1264 Theremin, which is listed on this unique Theremin site by Bob Sexton. The Northland Antique Radio Club (NARC) has a nice web site.